In February 2013, the City Council of the City of Raleigh approved a new Unified Development Ordinance, or UDO. The new UDO went into effect on September 1 subject to certain “transitions” discussed below. Form-Base Code is a relatively new and innovative method of managing growth and shaping development to achieve a specific urban form and mix of uses as preferred by a given community. Unlike conventional zoning, Form-Base Code addresses not only development but the relationship between public and private spaces such as the interaction between streets, blocks, and buildings in terms of form, scale and massing, and the use of frontage areas. Form-Based Code creates a predictable public realm by including specific standards for the design of streets and open spaces, and focusing primarily on the physical form of development, with a lesser focus on building use than conversional zoning regulation. In other words, form-based zoning laws reach far and wide into the design aspects of development, a different notion from conventional zoning. “Major elements” of Raleigh’s new form based code are well-summarized here, and include changes to building type (Chapters 2 and 3 of the UDO), zoning districts (Chapter 3), sureties for public improvements and stormwater controls, structure height, block perimeters and street connectivity (Chapter 8), and review processes (Chapter 10). While aspirational, which is a principle well-suited for a growing and dynamic place like Raleigh, these form-based laws can prove more complex than to what most are accustomed in land use. Thus, September 1 is very significant to anyone owning or developing land in the City. Let’s take a closer look at the high points and the practical impacts of Raleigh’s new UDO. Certain regulations from the new UDO went into effect in all zoning districts on September 1, including new UDO Chapters 8 (subdivisions, access, streets and connectivity), 9 (natural resource protection, stormwater) and 10 (with certain exceptions). In addition, as of September 1, certain old zoning districts and old zoning overlay districts are seamlessly transitioned to the new UDO if the old district and new district are the same in the new UDO, including R-1 through R-10, Conservation Management, Agricultural Productive and Manufactured Housing. To the extent the old zoning district exists in the new UDO, it is generally so that the new UDO governs the property in entirety. Old zoning districts that are not included in the new UDO, and thus not seamlessly transitioned, are considered “legacy districts”. “Legacy districts” excluded from the new UDO include R-15, R-20, Shopping Center, Neighborhood Business, all Office and Institutional, and Industrial. A moment about these “legacy districts.” Development of these districts continues to be regulated in part by the old zoning code, save for where the new UDO applies to all zoning districts as outlined in the above paragraph. This “uneven” regulation will continue until the City is able to “remap” these old zoning districts to new UDO zoning districts, which the City expects to occur over the next 18-24 months: the transition period. A somewhat helpful slideshow on navigating the transition period is viewable here. Of course, a landowner in a “legacy district” may petition for a rezoning to the new UDO to expedite that remapping, if desirable. As far as other changes by way of the new UDO, site plan approvals, site plan appeals and rezonings are some of the more noticeable. As to site plan approvals, an administrative approval process will be used, which means most site plans will go through the City staff for approval rather than through the City planning commission and City council. This means an end to public hearings on most site plans. As to site plan appeals, the hearing body depends on the deciding body: staff decided cases go to the board of adjustment on appeal, and planning commission decided cases go to the City council on appeal. As to rezonings, they may be filed on a rolling basis (as opposed to the old way: quarterly) and will not come up for public hearing before only the City council until after the City planning commission has given a recommendation to the City council (as opposed to the old way: public hearing before both bodies, jointly). 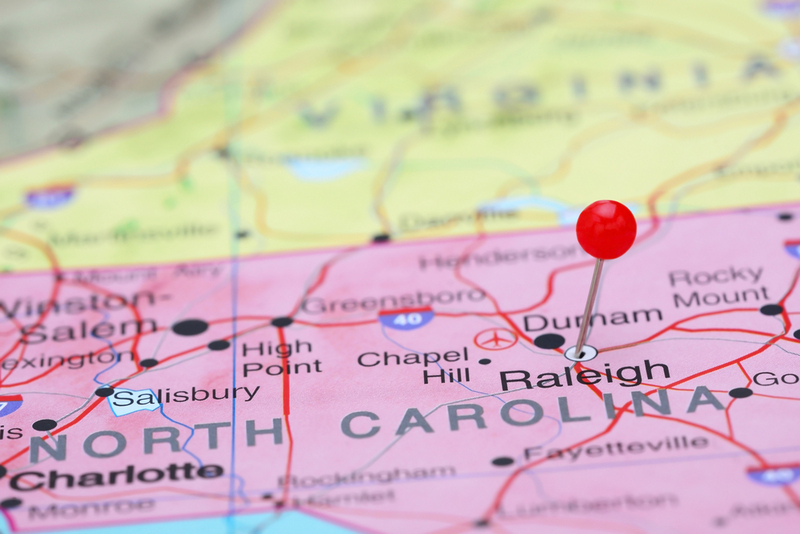 There has always been much to navigate, in terms of the zoning laws of the City of Raleigh. Now, the body of water, the shoals, and the weather have all changed. Wow, form-based zoning laws really changed Cleveland, huh?